Eggo Waffles only $0.80 a Box after Target Gift Card! 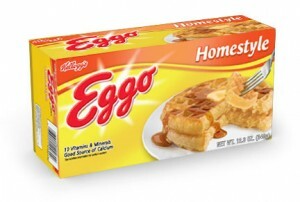 Starting 3/4, you can get Eggo waffles for as low as $0.80 a box at Target! If you'd rather pay less out of pocket, these cost $1.97 at Walmart, so $4.92 = $1.64 a box.